Dumfries, the name evolved from the term DumPhris or Druim Phris, which in Scottish Gaelic means either fort or ridge of the thicket. Dumfries is formerly a royal burgh. 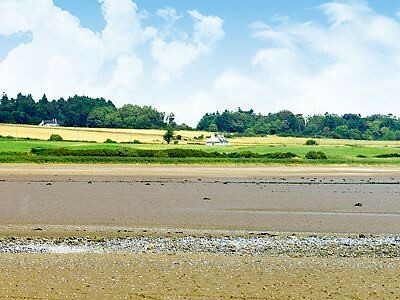 It is situated close to the Solway Firth near the mouth of the River Nith in the south west of Scotland, and was the county town of the former county of Dumfriesshire, with just 25 miles away from the England border. The head quarters of Dumfries and Galloway Council is located in Dumfries. 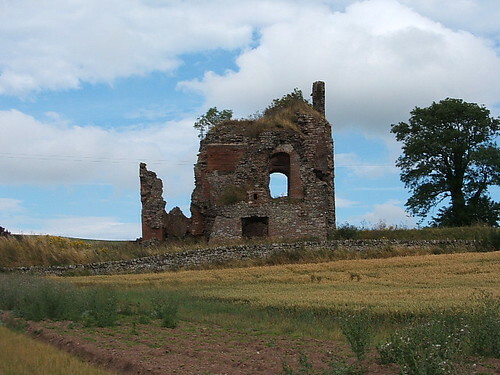 Dumfries has a long history as the county town of a rural backwater. The rich agricultural land between the hills and the sea has for many hundreds of years been carved up into huge estates controlled by hereditary ruling class. Even though this is town is serving a relatively small population, it is divided into several key districts. This segmentation paved the way for the evolution of a strong community based culture. The High Street in Dumfries hosts many of the historical, social and commercial centres of the town. Dumfries hosts Scotland's smallest police force, despite its size it is credited in its participation in one of the largest criminal investigations in modern history. When its neighbouring town, Lockerbie, was devastated by the events that took place onboard Pan Am Flight 103 on December 21st, 1988. Dumfries has several suburbs, including Georgetown, Larchfield, Calside, Lochside, Lincluden, Sandside, Heathhall, Locharbriggs and Marchmount. Dumfries has several primary schools, approximately one per key district, and four main secondary schools. All of these institutions are governed by the local council and the Scottish Executive. There are a number of festivals which take place throughout the year, mostly depicting the traditional values. Guid Neighbours or Guid Nychburris is the main festival of the year. It is a ceremony which is largely based on the theme of a positive community spirit. Dumfries was the hometown of Robert Burns from 1759 until his death in 1796. The poet is now buried in St. Michael's Churchyard in the Burns Mausoleum. A number of well-known people were educated at Dumfries Academy, among them are James Matthew Barrie, author of Peter Pan, John Laurie, acted as Private Frazer in Dad's Army, and Jane Haining, missionary. Dumfries is the hometown of former F1 racer Allan McNish. BBC Broadcaster Kirsty Wark was born in the town. The best resturant in Dumfries (and recently voted best in Scotland!) is The Linen Room, 53 St. Michael St., 01387 255689. The chef is a master. The Dumfries 'Pub of the Year' is Cavens Arms, 20 Buccleuch St, 01387 252896- great food and great Real Ale. Also Rifft Valley Jazz Cafe, 24 Castle street, 01387 249911 is exceptional. Apart from the hotels listed above, one of the best places to eat is Hullabaloo, on Mill Rd, Tel 259679, above the Burns Centre in a converted old water mill. Open Tue-Sat. For good Italian food try Bruno's, at 3 Balmoral Rd, Tel 255757. Next door and run by the same family is the Balmoral Fish & Chicken Bar, which is reputed to sell the best chips in southwest Scotland. Open Wed-Mon 1800-2200. Another good Italian-style restaurant is the moderately priced Benvenuto, at 42 Eastfield Rd, Tel 01387 259890; or try Mambo Italiano, 113 Queensbury St, Tel 01387 265888. For vegetarian food try Opus, 95 Queensbury St, Tel 255752. Cheap-mid-range prices. Open Mon-Sat 0900-1700. The pubs in town all serve cheap bar meals, but the most atmospheric place is the Globe Inn, 56 High St, once frequented by a certain poet of this parish. A good place for coffees and light lunches is Pumpernickel, 60-62 Friars Vennel, Tel 01387 254475. The bus station is only a short walk west of the High St, at the top of Whitesands beside the river. The train station is on the east side of town, a 5-min walk from the centre. The Tourist Information Centre is at 64 Whitesands, on the corner of Bank St, Tel 253862. Apr, May and Oct daily 1000-1700; Jun-Sep daily 0930-1800. Most of the town's attractions and facilities are on the east side of the river. A tour of the main sights should begin on the pedestrianized High Street, at the Burns Statue, at its northern end. It shows the great bard sitting on a tree stump with his faithful dog at his feet. A few minutes' walk along the High Street is the Midsteeple, built in 1707 to serve as a courthouse and prison. Nearby, at 56 High Street, is the Globe Inn, Tel 01387 252335, one of Burns' regular drinking haunts, where you can sit in the poet's favourite chair and enjoy a drink. Continue down the High Street and follow the signs for Burns' House, in Burns Street, where the poet spent the last few years of his life, and died in 1796. It contains some interesting memorabilia, including original letters and manuscripts. Info: Apr-Sep Mon-Sat 1000-1700, Sun 1400-1700; Oct-Mar Tue-Sat 1000-1300, 1400-1700. Free. Tel 01387 255297. Just to the south is the red sandstone St Michael's Church. In the churchyard is the mausoleum where Burns lies buried. On the other side of the river, on Mill Road, is the award-winning Robert Burns Centre, housed in an old water mill. It tells the story of Burns' last years in the town. Info: Apr-Sep Mon-Sat 1000-2000, Sun 1400-1700; Oct-Mar Tue-Sat 1000-1300 and 1400-1700. Tel 01387 264808. On the hill above, centred around an 18th-century windmill tower, is Dumfries Museum, which has good local history, natural history and anthropology displays. Info: Apr-Sep Mon-Sat 1000-1700, Sun 1400-1700; Oct-Mar Tue-Sat 1000-1300 and 1400-1700. Free. Tel 01387 253374. On the top floor of the windmill tower is a Camera Obscura. Info: Apr-Sep (also open Mar weather permitting). Mon-Sat 1000-1700, Sun 1400-1700. £1.50, £0.75 concession. Also on the west bank of the river, at the west end of the 15th-century Devorgilla Bridge, is the Old Bridge House, built in 1660 and the town's oldest house. It is now a museum of town life over the centuries. Info: Apr-Sep Mon-Sat 1000-1700, Sun 1400-1700. Free. Tel 01387 256904. Dumfries Museum and Camera Obscura are the popular tourist attractions here. Dumfries Museum situated around the eighteenth century windmill has an impressive collection of fossil footprints left by prehistoric reptiles, tools and weapons of the early inhabitants of the region and the stone carvings of Scotland's first Christians. On the topmost floor of the museum is the Camera Obscura, a historic astronomical instrument that offers great views over the town for many miles. Camera Obscura: Open: Apr to Sept: Mon- Sat: 10am-5pm, Sunday: 2pm-5pm. Originally a Palladian Country House, the ‘Dumfries House’ is quoted to be one among Britain’s beautiful, stately homes. 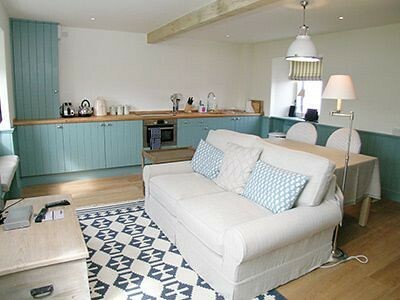 The hotels, holiday cottages, guest houses and bed and breakfast in Dumfries offer a variety of accommodation facilities which would add to the comfort level of the visitors. 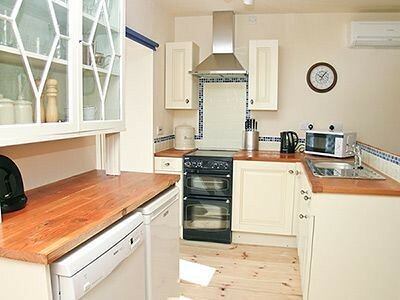 With many beautiful landscapes and historical places available in the town, Dumfries Accommodation has lot to offer to convert itself into an ideal base to explore the serene beauty of Dumfries located in Scotland. Whitecroft Mansion is an elegant Georgian Country House, which spread across three acres offering luxury, quality and style to an equal extend. Visitors are assured with a warm, friendly and welcoming atmosphere, while their stay in Whitecroft Mansion. This mansion is located in the verdant countryside of Dumfriesshire and the rooms offer splendid views of the Solway coast, which makes the place a haven of peace and tranquillity. With great charm and style this mansion is ideal for a comfortable stay at anytime of the year. The mansion has been lovingly resorted and designed to the highest standard. Guests will enjoy the first rate hospitality and house keeping facilities offered by the Whitecroft Mansion. Each of the 11 rooms available in this mansion is equipped with TV, DVD player, video library, tea/coffee making facility and hairdryer. In room broadband, private dining, restaurant, beauty salon or manicure, free wireless internet access, onsite car parking areas are some of the added features of Whitecroft mansion. I stayed in Whitecroft mansion a lot of time. On all these occasions I have been treated like part of the family. The breakfast and the room services are great. The views offered by the rooms are superb. It is the perfect place to relax in first rate comfort, luxury and style. 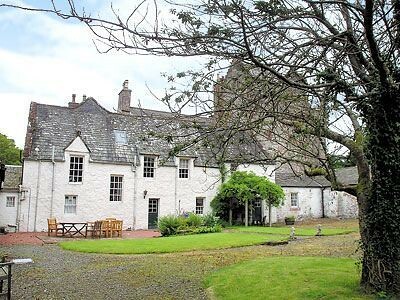 Friars Carse is located just 5 miles away from Dumfries town centre, still maintains its country location. This country house hotel is set in 45 acres of woodland extending to the banks of the River Nith. The magnificent panelled entrance hall and elegant staircase, offers guests a warm welcome. The hotel also has a panelled snooker room, and countless picturesque walks round its 45 acres. The hotel can also arrange shooting near-by. 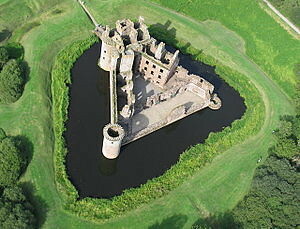 There is also good variety of golf courses and cycling tracks round about Dumfries and Galloway. The hotel has many golfing packages to suit all levels on some of the most sought after golf courses in Dumfries & Galloway. 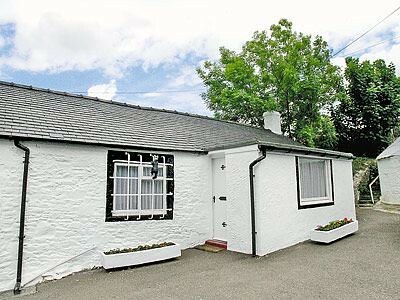 Self catering cottages are also available at the Friars Carse Hotel. The 21 en-suite bedrooms of Friars Carse Country house have remote control colour television, DVD player, telephone, hairdryer, CD player, radio and tea/coffee making facilities. The Whistle Restaurant of this country house, which takes its name from a Robert Burns poem, serves excellent cuisine with an extensive wine list. A four course evening meal is available at a supplement charge. 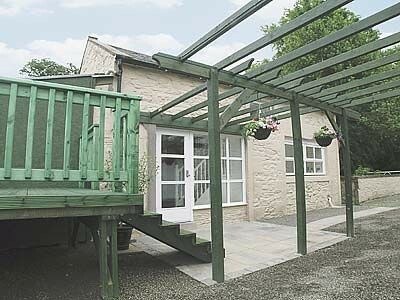 The bedrooms are comfortable and offer excellent overviews of the lush green country side. 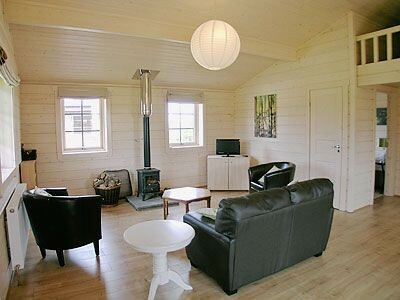 Guests can make avail of the exclusive facilities like private sea trout, grayling and salmon fishing in the nearby River Nith. This hotel is fantastic. The beautiful oak panelling and leather settees added to the character. The food was excellent and the staff friendly. Dining - the best food, presentation & service in the Dumfries area. 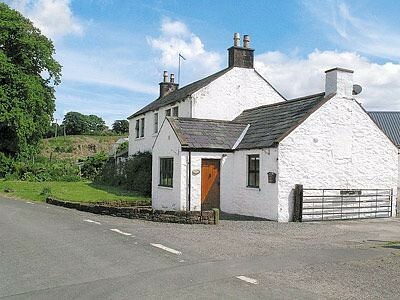 My stay was really excellent, staff faultless... nothing was too much trouble. I plan to stay again.....& again......& again. 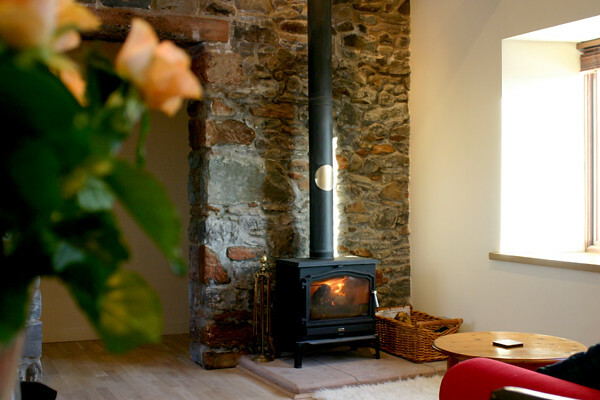 Situated in the south west corner of Dumfries and Galloway, the self catering cottage of Glen Auchie is on the road to the Mull of Galloway. 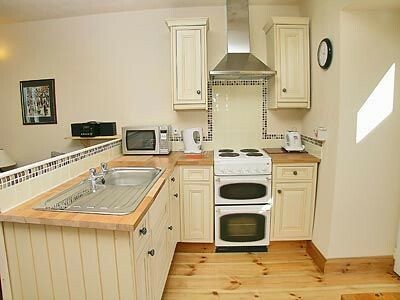 Allanton Mill is a high quality self catering holiday cottage in a converted former water mill dating back to 1739 near Auldgirth, Dumfries, which originally housed the grain drying ovens, mill stones and mechanics for the milling of local crops. 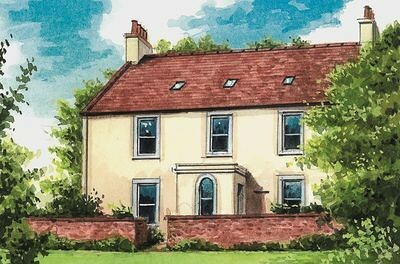 Victorian schoolhouse in the heart of the Borders, has superb walking from the door, with Buccleuch Theatre close by. Surrounded by hills and fells perfect for walking. 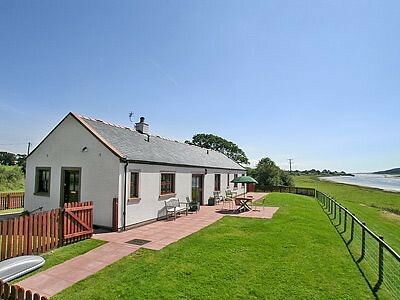 Peacefully set with panoramic views over countryside to the Nith Estuary, these detached, single-storey holiday cottages have their own garden and have been furnished and equipped to the STB’s ‘4 Star’ standard.